It’s cheese and riesing, kids. Or brownies and milk. Or a cheeseburger and a really cold cider. That’s my jam. Still, I’m not complaining. I’m tremendously grateful for all the love and support I received both while I was in the hospital and during this annoyingly long recovery. And if that love comes in the form of alcohol, I’m definitely going to find a way to make the most of it. Let’s make sangria, kids. Sangria equals summer, am I right? Throw some fruit in some wine, maybe a dash of extra booze. It’s all so pretty and festive. You have a whole pitcher stashed in your fridge to sip on throughout the day. It’s like an instant party. 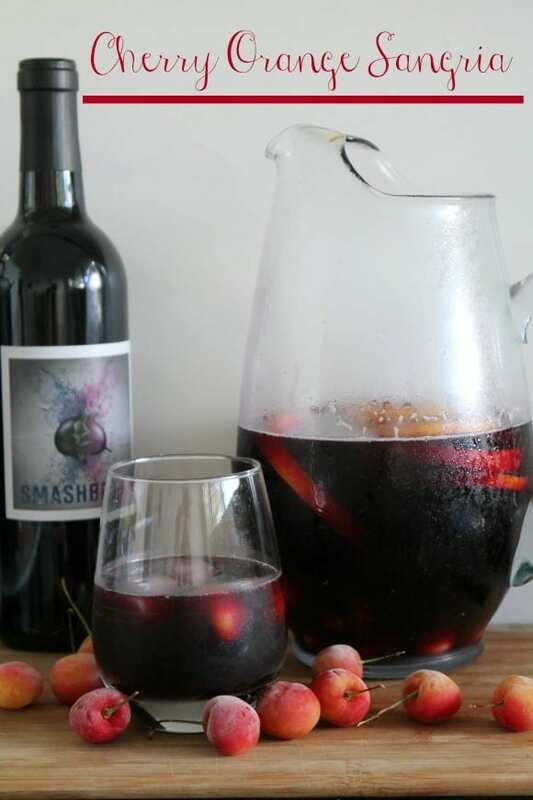 This particular sangria starts with a sliced orange, as many cherries as you can stand to pit, a bottle of red wine goes in (I used zinfandel because that’s what I had, but I think something a bit lighter would have also been nice), then you add some maraschino liqueur, stir it up, and let it all hang out for a while. I did this part the night before. When you’re ready to serve, I like to add some club soda to the mix for a hint of sparkle. If you’re a red wine fan, you could probably stop right there. If you don’t love red wine, and we don’t, add some orange juice to your glass, as much as you need to make it awesome. And don’t forget to freeze any extra cherries to keep your drink cool. See? We can always find a way to make things awesome. 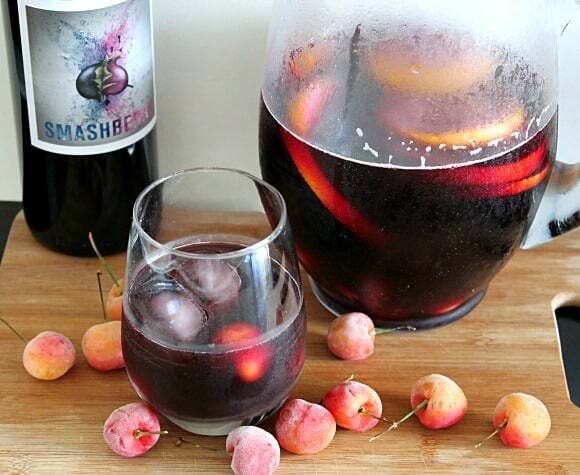 When life gives you red wine and cherries, make sangria. It’s the only sensible soluion. 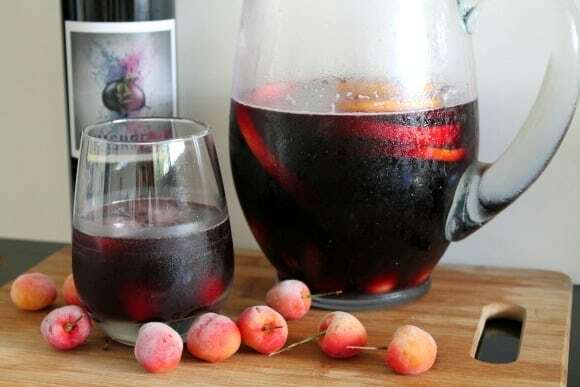 Crisp and fruity Cherry Orange Sangria to liven up your summer. Add your oranges and cherries to a large pitcher. Pour over the wine and the liqueur, and give it a good stir. You can let this hang out in the fridge for a few hours to chill and let the fruit and wine get to know each other. If you're in a hurry, just add ice to each glass as you serve. Before serving, stir in the club soda. Pour over ice and/or frozen cherries. Add orange juice to taste.